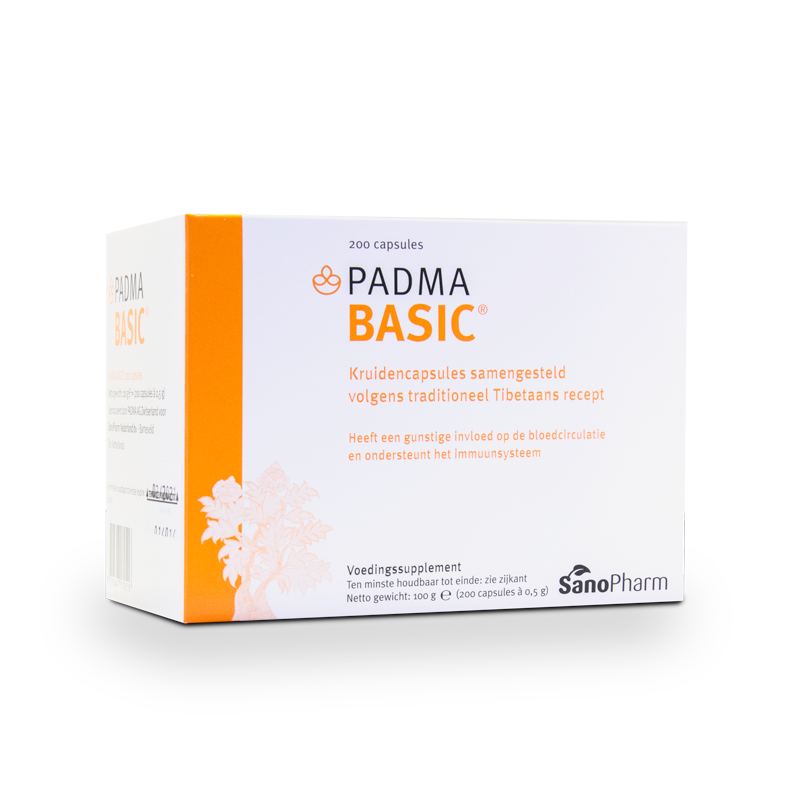 Padma Basic is a Tibetan herb formulation made in Switzerland in strict accordance with the principles of Tibetan medicine. It consists of 20 different herbal substances that improve the condition of the vascular walls and the physical resistance and have antioxidant properties. Unless directed otherwise, take 2 capsules 2 to 3 times a day half an hour before the meals with plenty of water. Stimulates the blood flow, reinforces the vascular walls, eases heavy legs and counteracts cold hand and feet. Lowers the cholesterol level, has antioxidant properties and improves physical resistance.